Pain, which is more common in the elderly, can reduce one's quality of life, and as the population ages, there will be more elderly people suffering from pain. Worldwide, studies have indicated that up to half of older adults who live in the community and 45 to 80 per cent of those in nursing homes suffer from chronic pain. In Singapore, a local study done in 2016 reported the prevalence of chronic pain in the elderly at about 20 per cent, Dr Diana Chan, a consultant at the department of pain medicine at Singapore General Hospital (SGH), pointed out. The number is likely to rise. Already, SGH's pain management centre is seeing a 10 per cent rise in patient numbers every year. It gets more than 6,000 patients a year, of which 60 to 80 per cent are over 60 years old. However, chronic pain is not an inevitable part of ageing as there are elderly people who live pain-free lives, said Dr Chan. Those who have chronic pain should learn how to self-manage it in order to reduce the pain and psychological distress it can bring. Chronic pain is complex. The exact mechanisms leading to it are only partially known, though there is increasing evidence that the state of the mind and one's mood also play a role in the development of chronic pain, said Dr Chan. Living with pain, like other chronic conditions, requires an active personal engagement to reduce the pain and gradually increase physical activity to get things done, says the Australian Pain Management Association. It will usually involve a combination of physical and psychological techniques as well as medical treatment, it adds. Dr Chan said an appropriate individualised holistic plan in pain management therapy can help patients recover from certain types of pain. 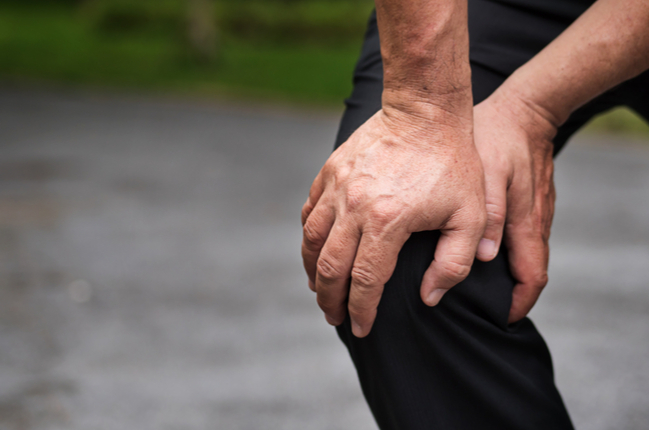 Some, like nerve injury-related pain, may be harder to manage and require a longer recovery period. She advises those who are experiencing pain to see a specialist early, noting: "The earlier the treatment starts, the better the outcome and recovery." •Remain active even if the pain makes you want to just lie on the bed. Specialists and physiotherapists can recommend suitable exercises to help strengthen the muscles that are essential for support and pain recovery. Avoiding activity will lead to muscle mass reduction and weakness. The muscles will become too weak to support the body and this then leads to further pain. •Know your body's limitations. If there is pain after a period of activity, rest and continue another time. •Comply with the medications and treatment your doctor has prescribed. Do not stop taking them just because you feel they are not effective after a week. Some of the chronic pain medications prescribed, like Gabapentin, Pregabalin and other anticonvulsants or antidepressants, may need about one to two months to show their effects. They should be taken regularly to be effective and not taken only when needed. •Maintain a healthy diet. Fats, carbohydrates, proteins and vitamins are crucial for recovery. •Maintain a good posture, and use aids like back supports, cold and heat packs when in pain. •Maintain a positive and optimistic attitude as anxiety or stress can worsen pain. When a patient experiences pain for an extended time, he may become depressed or avoid activities, leading to a vicious pain circle.